This is the blog of Dutch musician of electronic music, REMY (Stroomer). After last year's very well received "Fears" - REMY's only solo album from the last five years - Dutch synthesist Remy Stroomer comes up with the release of the project which partially inspired the 2016 album. 2012 marked many prophecies and theories about 'the end of the world'. Also Hollywood heavily anticipated on the doom scenarios mainly based on predictions by the Mayans, more than 5000 years ago. Strangely, the scenario of the return of the so called 'Planet X' - as predicted by the Sumerian people from approximately 5000 b.C. - wasn't highlighted. When browsing the internet, and digging into available sources, the story of Nibiru (a huge planet from another 'nearby' solar system which enters ours every 3600 years and passing earth closely during its ellyptic orbit) and the Anunnaki (the planet's inhabitants) could also be a good reason to cause more panic when it concerns earth's destruction and the demise of its inhabitants. Remy got intrigued by the subject of Planet X after a conversation with a friend about a 'second sun' - which was spotted by many people lately all over the world. When doing research Remy found many sources and facts suggesting the story - or at least parts of it - could easily be real. On the other side, there are also enough sources that reject all theories or prove opposite. 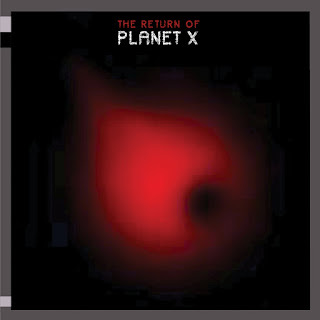 In any case the story of Planet X remains highly fascinating and mysterious, and therefore became the inspiration for a musical interpretation. Stroomer and Ron Boots. The wonderful location of the Grote of St.Bavokerk in the centre in Haarlem became the scenery for this project to be staged. 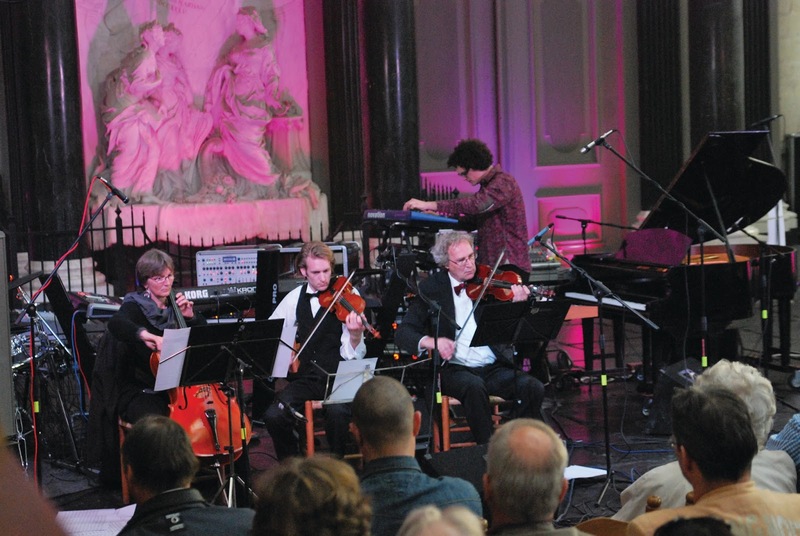 - Part 2: Composed by Ron Boots, and performed by Ron Boots (synthesizers), Eric van der Heijden (synthesizers), Harold van der Heijden (drums and percussion), and a 10-piece choir. - Part 3: Improvised by Remy Stroomer (synthesizers, grand piano and C. Müller Organ), Ron Boots (synthesizers, grand piano), Eric van der Heijden (synthesizers, C. Müller Organ), and Harold van der Heijden (drums and percussion). where Remy and Eric play the historic and impressive C. Müller Organ. Part 2 was already released back in 2012 (Ron Boots - "Signs in the Sand"), and is available from www.groove.nl. "The Return of Planet X" will be released on CD and as digital download and is going to be presented by Deserted Island Music at the annual E-Live Festival in Oirschot, on October 21th. Order your copy from www.desertedislandmusic.nl. Musically far below measure. Certainly for a pro like Remy. I am creating electronic music, which could more or less be described as trance / repetitive / ambient / atmosperic, and which is often being compared with the Berlin School style of music, like those of for example Klaus Schulze and Tangerine Dream. Besides the production of music, I am also owner of my own label, Deserted Island Music. This blog will mainly focus on my musical activities, but from time to time you can also expect some other topics with which I am concerned.